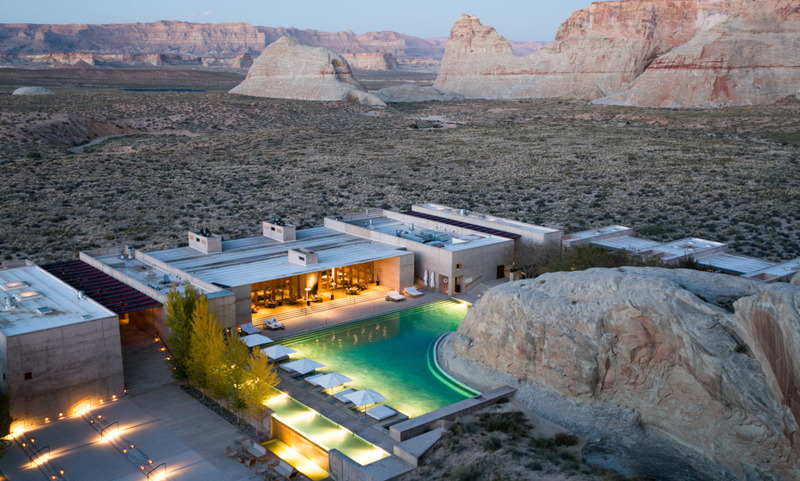 Surrounded by the beautiful desert scenery of North America’s canyon country, Amangiri is situated on 600 acres in southern Utah. Built around a central swimming pool, the resort blends into its dramatic surroundings, offering 34 suites, a four-bedroom home and an extensive Aman Spa, all with spectacular views. Spread across 2,322 squaremetres, The Spa aims to reflect the healing traditions of the Navajo through the four elements. Meals are served to tables looking out through floor-to-ceiling windows over the ever-changing colours of the desert. The luxury 5-star resort offers both adrenaline-fueled adventure experiences and a peaceful retreat.